Why decorate your tree with generic decorations when you can create your own personalized ornaments that truly express your family’s style? Paper Culture makes it easy to adorn your tree with family cheer this holiday season via their new line of personalized holiday ornaments. You select the photos and text of your choosing to fashion a set of 12 ornaments featuring your kids, pets, or friends. All ornaments are printed on triple thick, 100% recycled paper and arrive in a nice recycled paper keepsake box tied with Baker’s twine that can be used to string up your new ornaments. Bonus, every time you purchase from Paper Culture, the company will plant a tree. Why decorate your tree with generic decorations when you can create your own personalized ornaments that truly express your family's style? 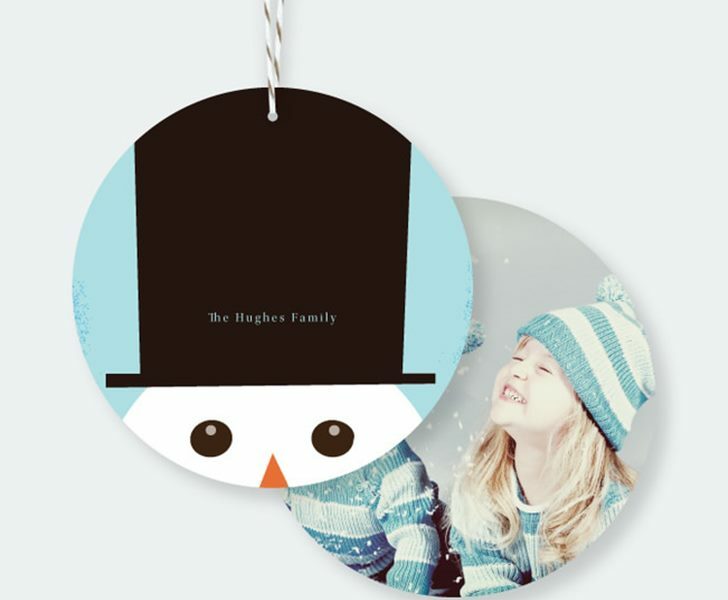 Paper Culture makes it easy to adorn your tree with family cheer�this holiday season via their new line of �personalized holiday ornaments. You select the photos and text of your choosing to fashion a set of 12 ornaments featuring your kids, pets, or friends. All ornaments are printed on triple thick, 100% recycled paper and arrive in a nice�recycled paper keepsake box tied with�Baker�s twine that can be used to string up your new ornaments. Bonus, every time you purchase from�Paper Culture, the company will plant a tree.